construction, and most of all, client satisfaction, it fueled a mission to bring back what home buyers deserve. professionals to reward you with a positive experience in building your home. craft of homebuilding, creating one of the most sought after homebuilders in the area. maintaining his everlasting goal of doing all things with fairness, honesty, & integrity. 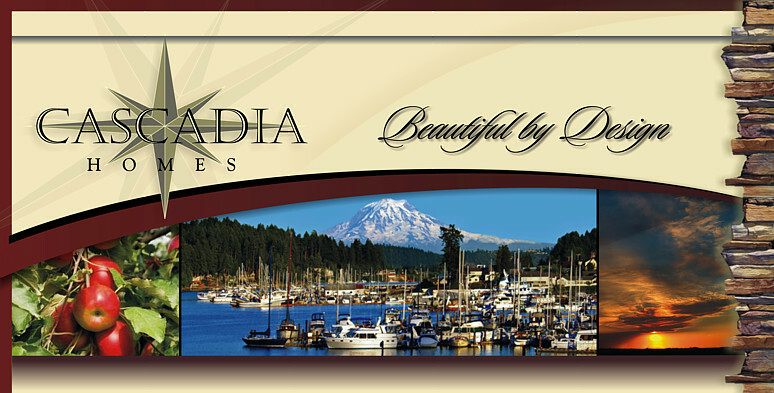 "Beautiful by Design" We invite you to enjoy living in your home as much as we enjoyed building it"
Cascadia Homes was named for the Cascadia Marine Trail, located throughout the Puget Sound waterways. that make the Northwest so inspiring and beautiful. our waterways clean for marine life.